Cover your bases this holiday season. From muted metallics to bold animal prints, this collection adheres to discerning tastes. Select a reversible design for chic flexibility. 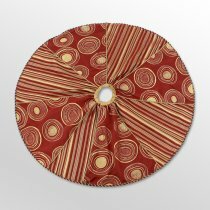 Shop Tree Skirts at thefoundary.com – over 50% Off! Ends in 2 days! You do have to register on this site, but they have new deals every day! It is one of my absolute favorite online destinations! « Adrienne Landau Fur Scarf Over 50% Off! Will Sell Out FAST!